Writer and jury member Mats Berggren on Wednesday gave a lecture on Astrid Lindgren Memorial Award and reading promotion. He described his job as a jury member and the procedure on how to select a recipient. Many listeners wanted information on how to become a nominating body and many were of course hoping for a Mexican recipient in the future. The sum of the award impressed, but as Mats rightly said, one Swedish crown from each citizen is well spent money! Mats Berggren also told the audience how he as a writer promotes reading by visiting schools and libraries and what in his opinion is characteristic to Swedish children’s literature. Quite a few books by Swedish writers can be found at the fair, most of them published by Spanish publishing houses. More Mexican titles in Swedish would of course be of interest to all of us but that is question for the publishers. Maria Beatriz Medina from Banco del Libro in Venezuela gave a speech on Tuesday on the challenge of reading promotion in areas where libraries are non-existent. Banco del Libro received the Astrid Lindgren Memorial Award in 2007 and is working hard with neglected children. Mats Berggren participated Tuesday evening in a panel discussion on Hope together with Xavier Ayen, Isaac Rosa, Spain and Anja Snellman, Finland. 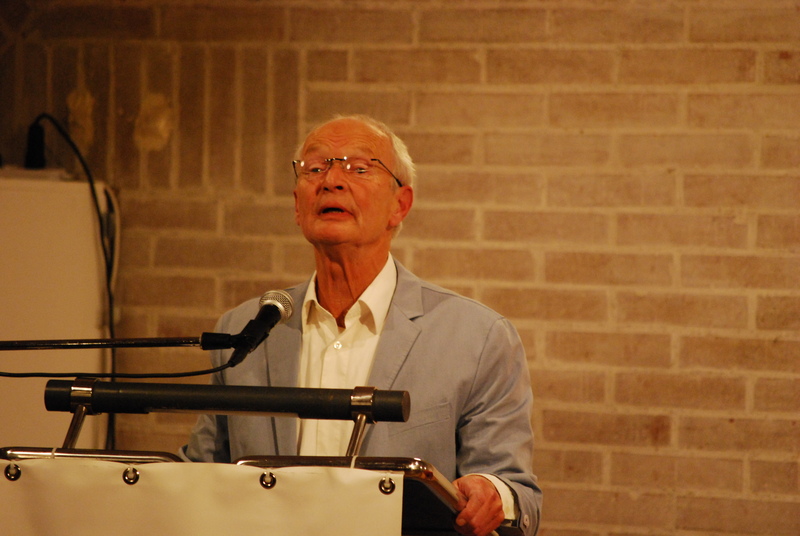 Mats Berggren gave an example of hope for the future by telling how children in Rinkeby, a suburb of Stockholm, every year study the works of the Nobel laureate in literature and present the result when the laureate comes to visit. When Mario Vargas Llosa received the Nobel prize in 2010 he wrote about his own visit to Rinkeby in the papers and stated that children who learn to cooperate stand a bigger chance to accept cultural differences later in life. Maria Beatriz Medina, Mats Berggren, Sergio Peňa and Philip Linghammar from the Embassy of Sweden in Mexico City. 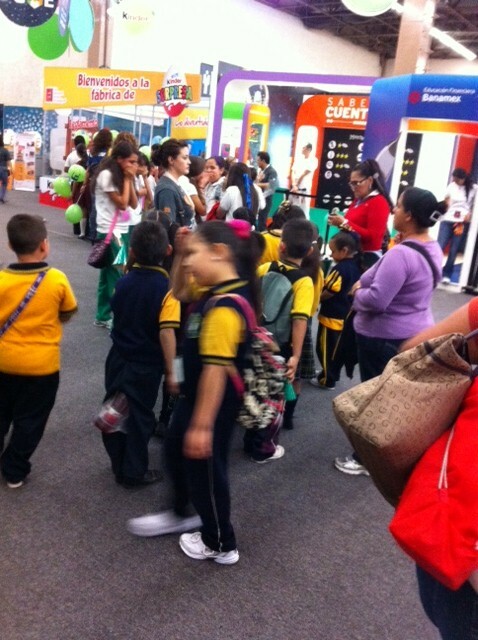 The largest book fair in Latin America opened on Sunday in Guadalajara for the 26th time. Writer and jury member Mats Berggren who visits the fair for the very first time was immediately impressed by the size and quality of the exhibition. 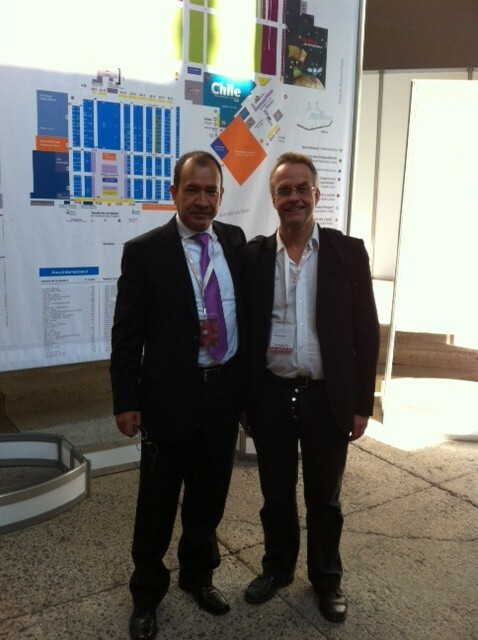 The seminar program is extensive and offers a lot of inspiration for a Spanish a speaking visitor like Mats. He will himself give a speech on Tuesday within the festival of European literature on the subject Hope and on Wednesday he will give a talk on Astrid Lindgren Memorial Award and reading promotion. Mats Berggren with his guide and driver Guillermo Tovar Partida: Photo: Helen Sigeland. 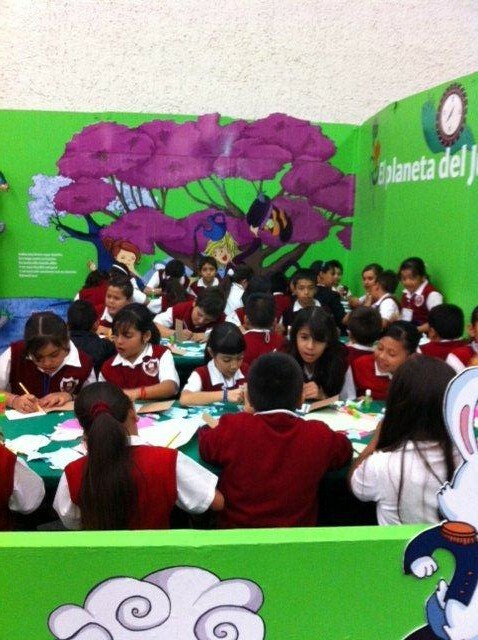 A visit in the children’s section proves that there is no age limit for workshops for children. Older children were among many other things offered a lesson in haiku writing. 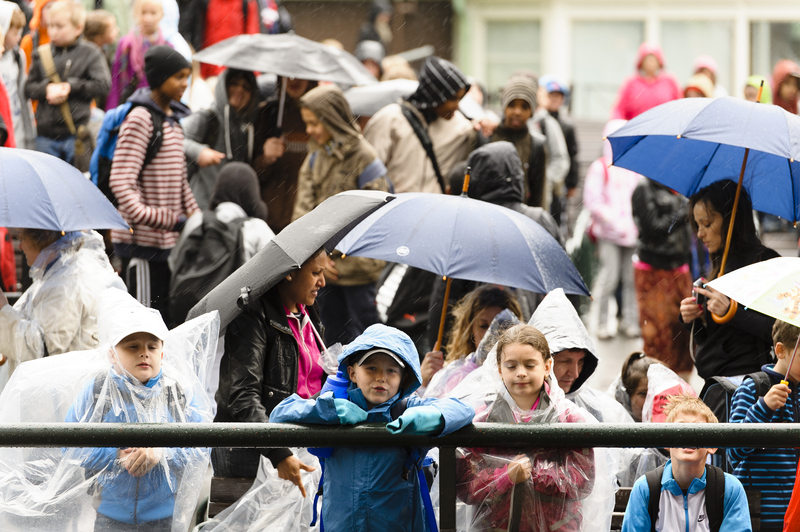 Last year 100 000 children visited the fair with their teachers and the organisers believe there will be even more young visitors this year. Now everyone have the possibility to listen to the online contents of our web, since Browsealound and Browsealoud Plus have been installed. Both are free of charge for the user. Browealoud is a web tool that caters to people with some form of disability, such as severe dyslexia, people with visual impairment and need of enlargement, or people with a first language other than Swedish. 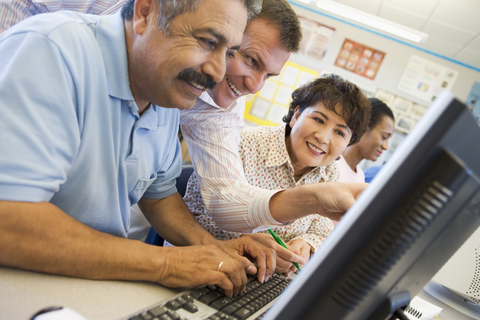 With Browsealoud the user can choose which reading support he or she needs. Why don´t you try it, link to ALMA web here. Today, the participating illustrators of the exhibition on contemporary Swedish children’s book illustrators in Bologna 2013 were announced. 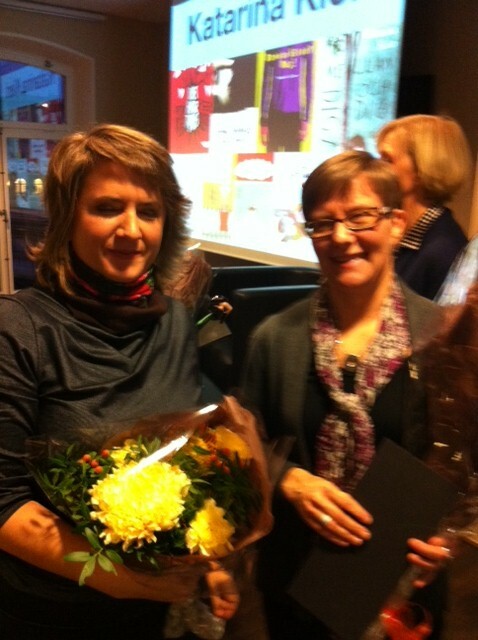 The illustrators have been chosen by a jury appointed by the Swedish Arts Council. Two members of the Astrid Lindgren Memorial Award jury, Ulla Rhedin and Elina Druker, have been part of the exhibition jury. Sweden is to be the guest of honor at the Bologna Children’s Book Fair on 25–28 March 2013, where children’s and young people’s right to culture will be the overall theme. As guest of honor, Sweden will present a major exhibition on contemporary Swedish illustration. The Swedish component of the program will also include seminars and activities featuring Swedish authors and illustrators, both at the fair and at other venues in the city of Bologna. 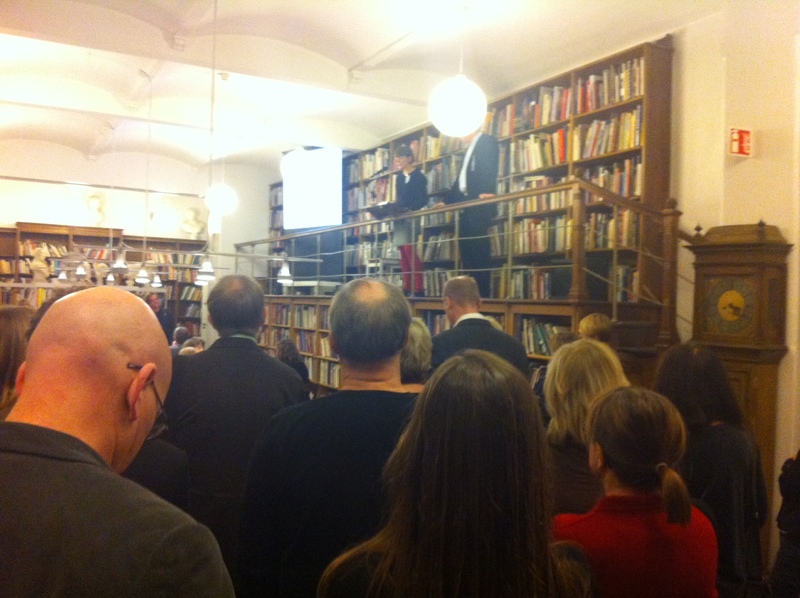 Kennet Johansson, Director General at the Swedish Arts Council, held a welcome speech. Lotta Brillioth Biörnstad, Swedish Arts Council, and Andreas Berg, jury spokesman. The competition “A book of international fame” has begun. It’s part of the project Children and Books, aiming to stimulate reading and language development amongst children. The targent group is pupils from the Stockholm schools from preschool to sixth grade. Lena Fontin is co-ordinator at the Education Department at Stockholm City. Why do you participate in the project Children and books? Children and Books began as a three-year project within the Stockholm language venture during 2008. The project is completed but Children and Books has continued as a part of the Education Departement’s language venture for the compulsory schools in Stockholm since 2011. Children and Books is an annual activity that aims to stimulate children’s love of reading and language development. It consists of three parts happening during the school year; the competition “A book of international fame” (where all contributions are exhibited at district libraries in Stockholm), several book after-works aiming to inspire pedagogues in Stockholm, and finally a three day extensive program at outdoor museum Skansen, with an exhibition of the winning works and where pupils and teachers can listen to stories, participate in exciting walks, create stories, swap books and much more. What about “A book of international fame” and the theme for 2013? This competition aims to attract reading of literature from different parts of the world. We present a new theme every year, and next year’s theme is Boundless friendship. The theme was a suggestion from one of my clever colleagues, who participated in the jury for “A book of international fame” last year. We all considered it an excellent suggestion as there´s much literature available and it´s possible to work with the theme in many different ways. That is very important as there´s so many various situations in the schools. It´s the pedagogue or teacher who adapt the theme into their goals and prerequisites. When the pedagogue report the class, they get a book and this year it´s ”Att undervisa i läsförståelse- lässtrategier och studieteknik” (“To teach reading comprehension – reading strategies and study skills”, our translation) by Barbro Westlund. This book is meant to serve as inspiration and guidance for the pedagogues, and presents a number of different models and concrete exercises for active reading instruction. Children & Books is a collaboration between the Education Department of Stockholm, Stockholm Public Library, Skansen and Astrid Lindgren Memorial Award. a huge audience of children from the Stockholm schools. Photo: Stefan Tell. 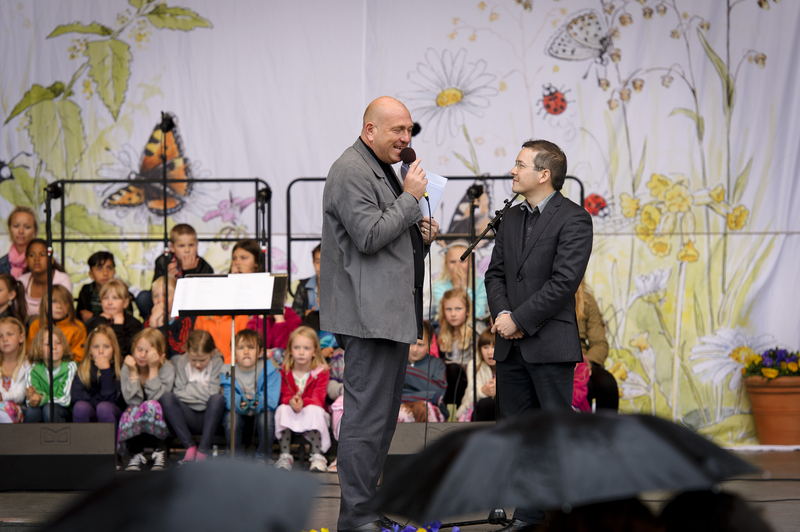 2011 ALMA recipient Shaun Tan (right) from Australia presented prizes to all recipients of A book of international fame 2011, on the Skansen stage. Photo: Stefan Tell. Today, on Astrid Lindgren’s birthday, author Katarina Kieri was announced as the recipient of this year’s Astrid Lindgren prize. 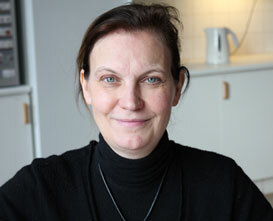 Katarina Kierni, born 1965, made her literary debut in 1993 with the poetry collection Slutet sällskap. She is a full time author since the early 2000s, and writes for adults, youths and children. 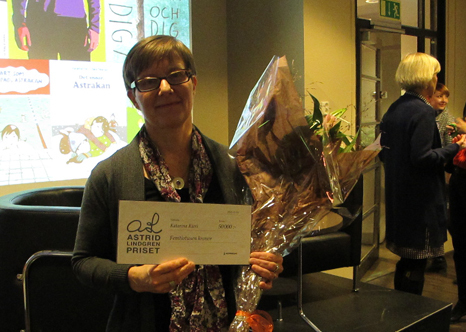 Receiving the award, Katarina Kieri talked about what Astrid Lindgren’s books have meant to her. Among other things, she mentioned her observation that children and adults in Astrid Lindgren’s books often live cut off from each other, but, however, it’s the adults rather than the children who seem to suffer from this. 2010 ALMA recipient Kitty Crowther attended the award ceremony, giving a presentation of her latest book Tomten är vaken (interview with Kitty in our blog post on October 22) and the work process behind. She also talked to journalist Yukiko Duke about her relation to Astrid Lindgren and her books. The Astrid Lindgren prize (not to be mixed up with the Astrid Lindgren Memorial Award) was instituted by publishing house Rabén & Sjogren on November 14 1967, on Astrid Lindgren’s 60th birthday. The award amounts to 50 000 SEK (approx. 6 000 EUR) and is given annually to reward commendable authorship within children’s and young adult literature. On 6th November 2012, the International Youth Library in Munich had the honour and pleasure of hosting an evening with the ALMA winner 2012, the Dutch author Guus Kuijer. It was the fourth time that Dr. Christiane Raabe, the library’s director, and her team welcomed the current ALMA winner to their book castle and invited a mixed audience of publishers, critics, librarians, teachers, parents, and children’s book enthusiasts to learn more about the award recipient. Dr. Dominik von König, the chairman of the IYL foundation, opened the evening by drawing a comparison between the IYL, one of the most renowned centres for international children’s literature and Guus Kuijer, one of the most renowned children’s book authors. As the next speaker, Rob Zaagman, the consul general of the Netherlands in Munich, mentioned, how difficult it is, to talk about a person who is present, especially since Guus Kuijer once said that too much attention for the author might somehow harm the books and their characters. 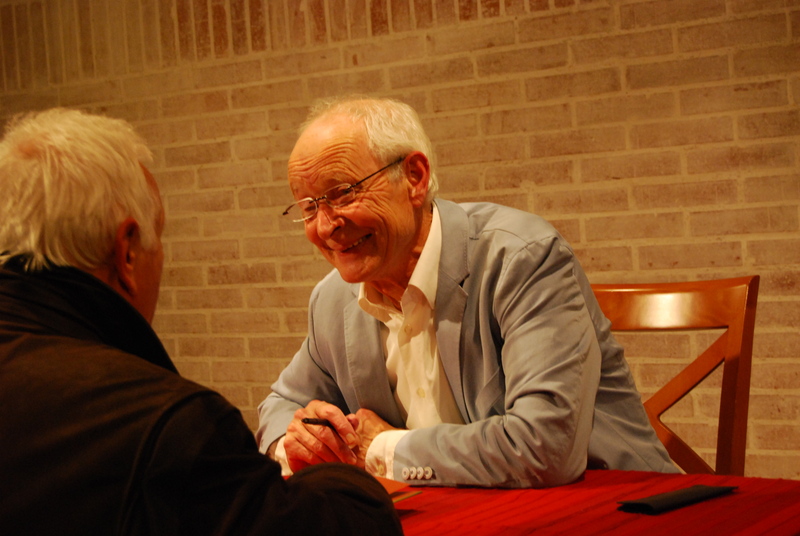 Zaagman praised the ALMA winner’s exceptional skills as a writer for readers of all ages and implored the audience to seize the opportunity to read Kuijer’s texts themselves. Guus Kuijer’s moving speech, a version of his ALMA acceptance speech, adapted and translated into German, included some amusing anecdotes about his life. He read three short stories from the book “De tranen knallen uit mijn kop” (1980) about Jonathan, a little boy, who has fallen in love with his teacher and tries everything to be noticed by her. Kuijer skilfully used these short episodes to underline the important role that art and literature played in his personal life and development, and to underline the fact that children’s literature is not inferior but on a par with literature for adults. 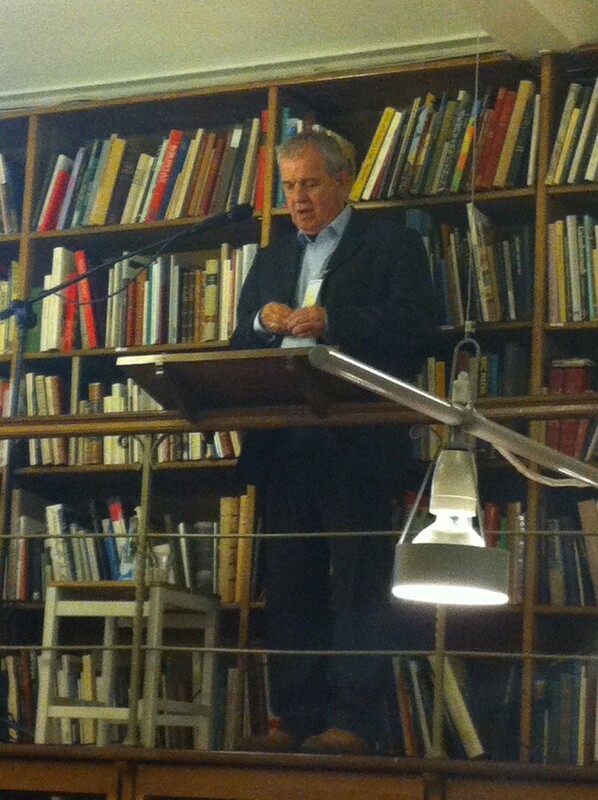 The official part of the evening was concluded by Ralph Wagner, a professional speaker for radio and television, who rendered a captivating reading of two chapters from Kuijer’s book “Het boek van alle dingen” (2004, The Book of Everything). Yesterday, the Swedish embassy in Rome hosted a meeting presenting the Swedish plans for the Bologna Children’s Book Fair 2013. In focus were Children’s right to culture which is the theme for the Swedish participation (and book fair visitors will find this visible in all presentations and events). 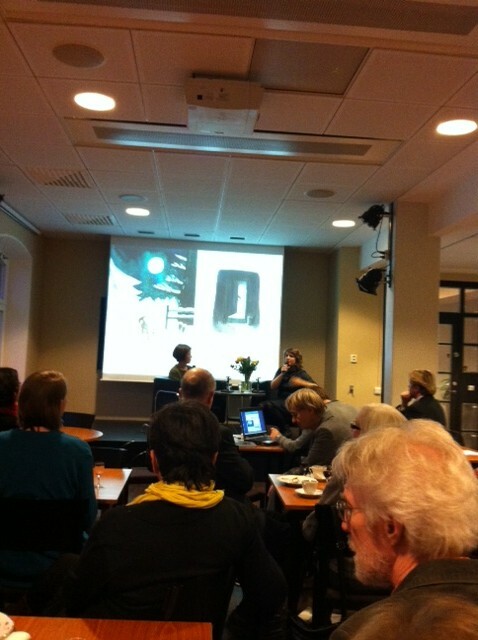 Italian publishers and journalists were invited to get a glimpse of the program being prepared by the Swedish Arts Council. Susanne Bergström Larsson and Eva Ottosson informed about the illustration exhibition, the national stand for exhibitors, presentations of authors and seminars for teachers and librarians. Daniel Gustafsson Pech, representing The Swedish Institute described the plans for activities in Bologna city. Representatives from Swedish publishing houses were present to inform about their new titles and Åsa Warnqvist from the Swedish Institute of Children’s Books gave a much appreciated lecture on trends in current Swedish literature for children and young adults. Helen Sigeland, Director of the Astrid Lindgren Memorial Award, concluded the session by reminding that the name or names of the 2013 Astrid Lindgren Memorial Award recipient (s) will be revealed at the illustrator’s cafe Tuesday March 26 at 1 pm. The plans were met by enthusiasm and curiosity and it is a good guess that the Swedish events will be well attended! Last week the Nordic Council announced the establishment of a brand new prize for children’s and young adult literature. The prize will be presented for the first time in 2013. 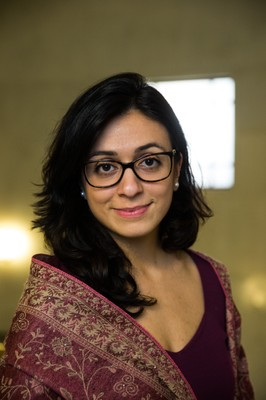 “A Nordic prize with a number of other activities will give a focused and visible boost for children’s and young adult’s reading”, stated the Norwegian Minister of Culture, Hadia Tajik. As seen in the final report from the Swedish Committee on Literature (September 2012), there is an urgent need for strong actions to improve young people’s reading ability and habits. The Swedish Minister for Culture, Lena Adelsohn Liljeroth, commented that the introduction of a Nordic prize can contribute to more readers of Nordic children’s and young adult literature, both within and outside the Nordic countries.